Can you say fun? 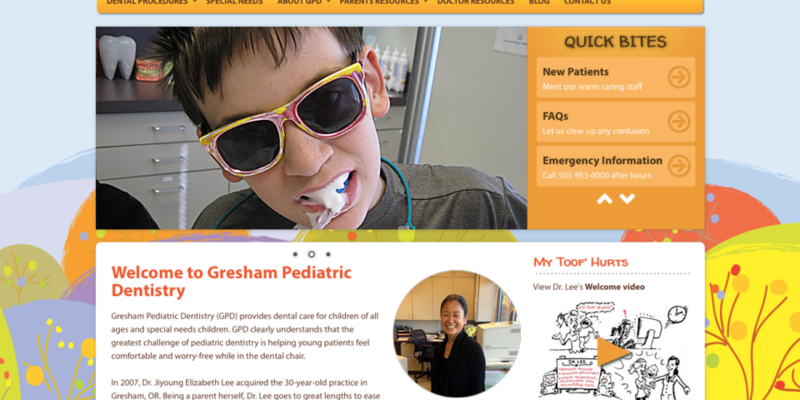 Dentists, especially pediatric dentists are not known for fun experience so it was imperative that the website exude warm, fun-loving environment. 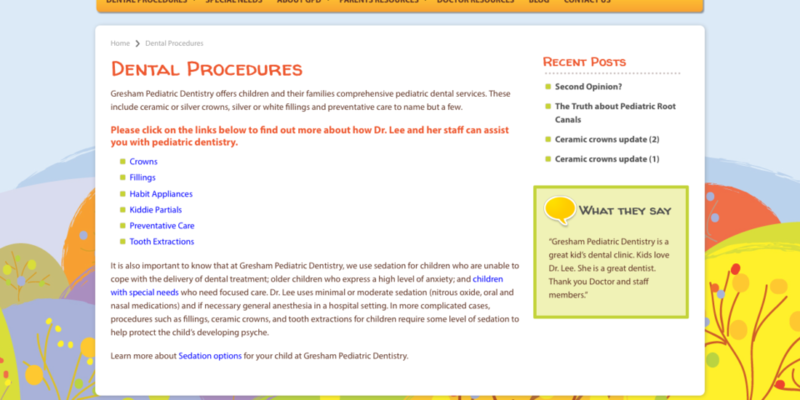 Dr. Lee was a wonderful client who knew what she was looking for in a site, embraced the process and has had positive feedback from the refreshing new look. To all sites, including this one, a search engine keyword phrase analysis and recommendation was performed and implemented into the content.